5 years ago today, Jeff and I were wed in front of family and friends. I'm still stupidly in love with him and am looking forward to many more years. Also, Mena is home! She's doing much better. I've got creams and pills for her but that's a small price to pay to have one of my fur babies home. Yay Mena! Good news about your furry family is a fine anniversary present. 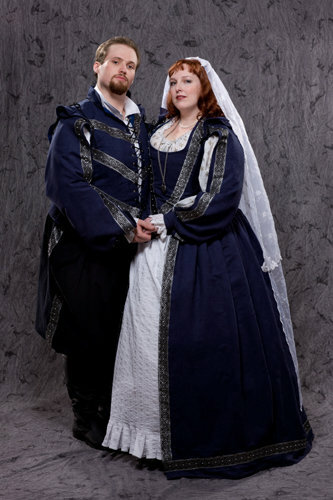 One of the great things about doing historic costume for your wedding is that the pictures never look any more out of date than the day they were taken. obsessivewoman and I did a pirate wedding.